I order a grilled grapefruit early Monday morning at Hotel Havana in San Antonio. There are raspberries and blackberries on top. The bitter juice is perfectly balanced by the caramelisation. 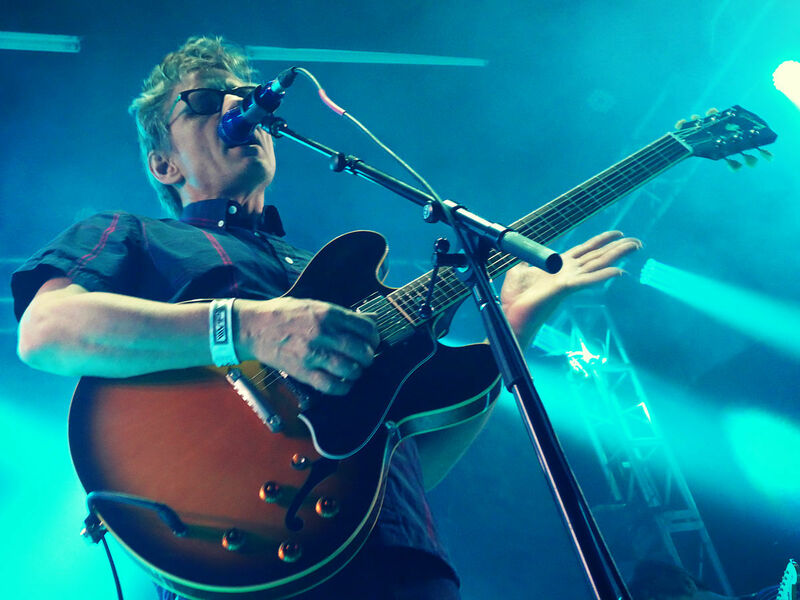 Dean Wareham asks on Facebook later that day, "What are you doing in Texas?" when Ulrika posts a picture of herself standing in front of the Alamo. "To see the Alamo", she replies. The steel construction is painted turquoise, the chairs as well. The big windows are facing the canal floating by a little bit below, with its famous river walk next to it. A big aloe vera cactus is planted right outside. Some of its stems are getting brown. A river boat comes by and stops right outside, the Mexican guy in the boat starts watering the plants. With a fork and a knife, I eat my grilled grapefruit, I have a sip of my coffee, and say to Ulrika in front of me, "it's good to be in Texas". 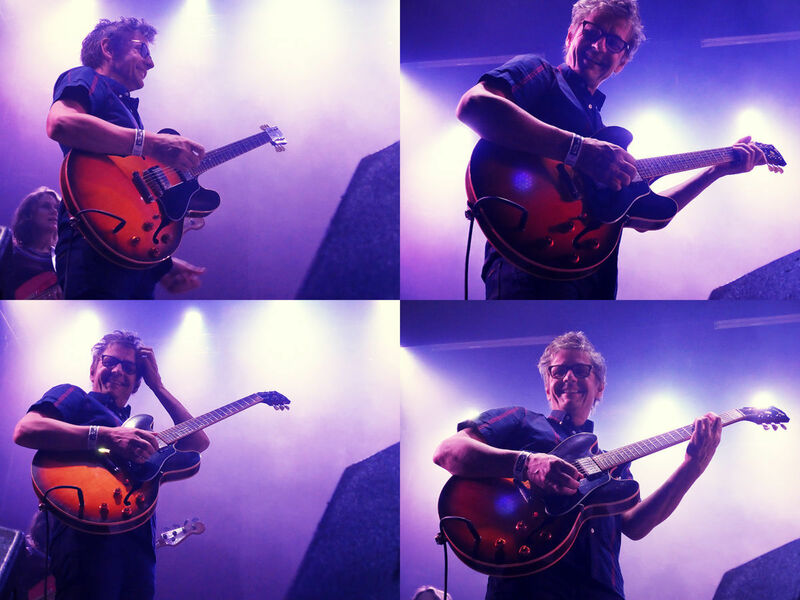 Dean Wareham asks on Facebook later that day, "What are you doing in Texas?" when Ulrika posts a picture of herself standing in front of the Alamo. "To see the Alamo", she replies. That's not the whole truth, but it's not a lie. We are here to see Luna play in Dallas, Austin and Houston. But we went to San Antonio first, to see where Robert Johnson did his first recordings because our blues loving neighbour demanded it and of course we did. We went to see The Riverwalk, and the Alamo. Right now I'm more interested in my grapefruit. The blackberries falls down on the floor, roll under the table, the three second rule makes it just fine to pick them up. I have never been to Texas before, Ulrika used to live here for three years, twenty years ago, up close to Fort Worth. It was in Dallas Ulrika first heard Luna, with a person she only met once. She hasn't told me anything more than that. I don't think I even want to ask. Someone else has to ask. It must have been a good person she met no matter what. Then she moved to Stockholm. It took a very long time for her to accept the fact. She wasn't going to live in Texas anymore. But she sure can come back for visit, and that's what we did. San Antonio is a great place to visit, we walk along the canal, it's beautiful, we go up in the Tower of the Americas and visit the Market Square stacked with Mexican restaurants and souvenir shops. The colours are orange, purple, green, red and of course turquoise. We end up at Texan 2, probably the best bar in San Antonio. It's a bit dirty but the music is good and it's not overly crowded, but full of life. A guy in the bar gets us tequila shots and says, "you can have the lime, I don't need it". He is half American, half Mexican and half Asian. I don't know how that adds up. He and Ulrika start talking about all these bands they listened to when they grew up. And me, I just lean back. Another Mexican guy settles in and gets us another shot of tequila. He is even funnier. I think he wants to sleep with me. The next day we visit The Cove, a combined car wash, beer bar, playground and indoor music stage. It's an open mic night, and there is a woman in a wheelchair playing. Her name is Becky and she is fantastic, with her small nylon stringed acoustic guitar on her lap, singing songs about shirtless construction workers, margaritas and poisoning her lover. She reminds us a lot of Daniel Johnston. 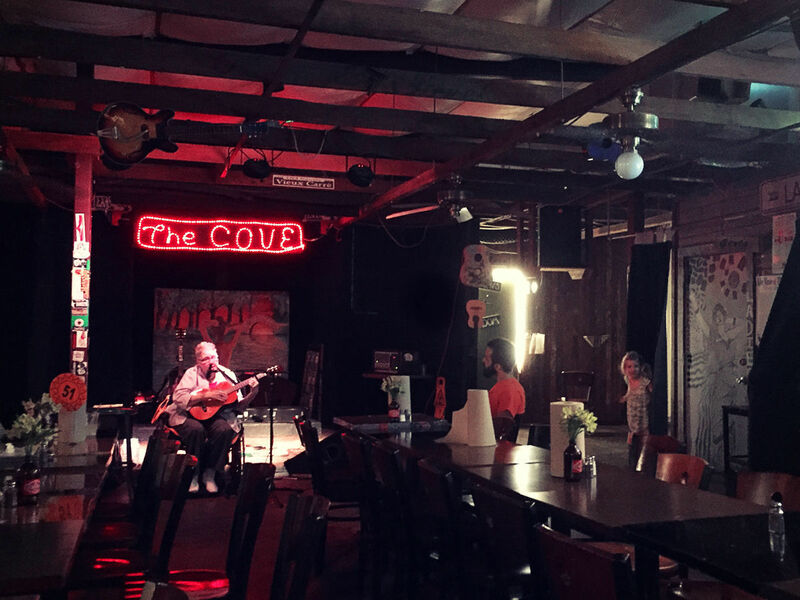 We are the only audience in the big room apart from the very few other musicians about to play or that have played, two young girls wrapping themselves up in the curtains, and someone reading the newspaper in the bar. After her set is over her friend rolls her out of the room, and I go up and talk to her, saying how much we appreciated it. She says, "yes I could see that you where laughing" and she starts to laugh too. She is a real character. Her record is five dollars, I buy it, she is happy, and I am too. Me, Ulrika, Becky and her friend keep talking for a long time that night. For some reason Becky from San Antonio isn't making me as nervous as Dean does, but I like them both just as much. I hope Becky and her friend got home safely that night. Ulrika has been wanting to come back to Texas ever since she left. She is even trying to get a green card. We would be two more Swedes moving to America. Between the mid 1800's to the 1920's about one and half million Swedes emigrated to find better luck in life, and most of them crossed the ocean to America. It was when we were the ones that had tough times. We were the poor immigrants. The immigrants became part of what America is now, just like so many other immigrants from every corner of the world still do. We can visit Texas and now we did. We don't drive so we asked our friend Mike from Annapolis to come along. We first met him in England last year during a couple of Luna shows, and we met him in New York as well. We get along perfectly and have a lot fun. I sent him a message, and he didn't need much time to say yes. 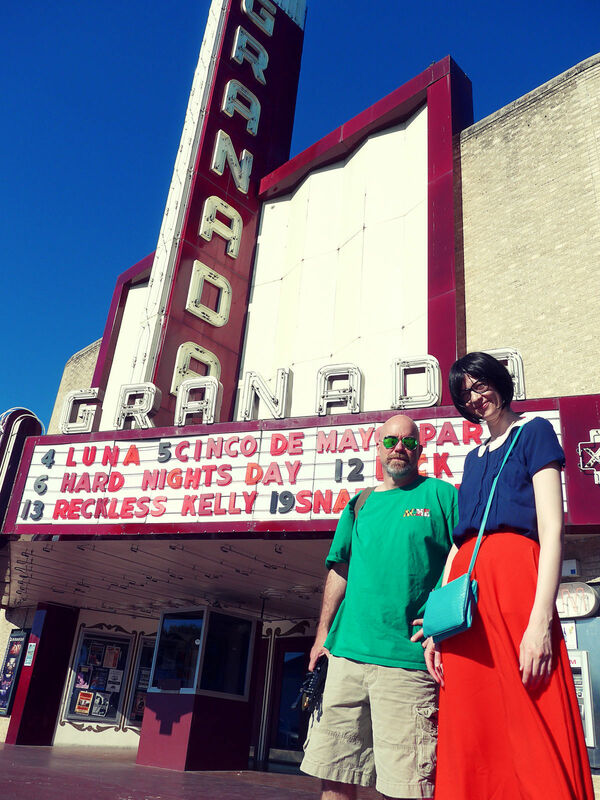 The Granada Theatre is a beautiful old classic looking movie theatre that has been turned into a concert hall. We get there early to feel the atmosphere. We hear vaguely monotonous beat of the toms, there is soundcheck-ing inside. A sound that makes you feel that it is really happening! A tall dark guy appears behind the building, we meet Sean and say hello. He hugs Ulrika. Then we have a meal at the restaurant next door. Mike gets a Lone Star, "The national beer of Texas", it says on the bottle. Ulrika wants white wine and then a glass of gin, which Mike finds very funny, first a glass of white wine, then a glass of gin. It's a beautiful day, the sky is clear blue, the venue opens the door. It's a high stage with sloping floor. It is the perfect setting. We recognise the face of a blonde girl sitting in the aisle section when we get in. Ulrika says it must be Kelly, that we had gotten to know through Instagram. Kelly is an enchanting personality, and we say hello to her friend Carly as well, she is just as enchanting. If you think I'm over using this word, it's because I like it. I saw a car license plate from New Mexico in front of us while driving around before the show, to find duct tape for Mike's microphone stand as he is recording the show. New Mexico is "The Land of Enchantment" and we talked about this word for five minutes in the car. And now I just had the perfect opportunity to use it. The people that we meet are really the loveliest of all people. Enchanting people. And we meet a woman from Albuquerque. "Isn't that New Mexico? ", I ask. She has been making posters and other merchandise for Dean & Britta, and this time she has done a numbered fake dollar bill, with a moon on it. She was so kind to us, giving us number 1 and 2. Her name is Jenell and she says we are staying at the same hotel. And much later, it crosses my mind that it was probably her in the car in front of us. Talking about enchanting, Britta Phillips just released a solo record. It's a fantastic record. It was a long wait but it turned out to be a really beautiful album, one of those that's impossible to grow tired of, and it suits all occasions. Britta's voice is mesmerising, almost hypnotic, and staggeringly beautiful. The half electronic songs are never too much, the sound is big but not overly pompous, in fact it's quite intimate and very touching. Britta chatter-sings Swedish on Agneta's song Wrap Your Arms Around Me, it is very enchanting, but I don't get a word of it. The songs are a mix of covers and originals. The covers are well chosen covering artists like Swedish Agneta Fältskog from Abba. And Fleetwood Mac's Landslide, a scaled down version, Britta's vocals makes me melt. Dean's guitar throughout the song has that touch of indescribable magic that cannot be described, or learned to love, you either have it or you don't, and that counts on both sides of the guitar. By the way, Britta chatter-sings Swedish on Agneta's song Wrap Your Arms Around Me, it is very enchanting, but I don't get a word of it. The curtains go up and there she is, Britta Phillips. Her bass guitar wrapped around her. Lee Wall is on drums. Sean Eden is playing guitar on a couple songs, always wearing sunglasses when he's playing with Britta, trying to disappear in the dark. It has the opposite effect. To the right of us there is Britta's new keyboard player Marte Solbakken, she is from Oslo. For a minute there, I almost thought she was from New Mexico. 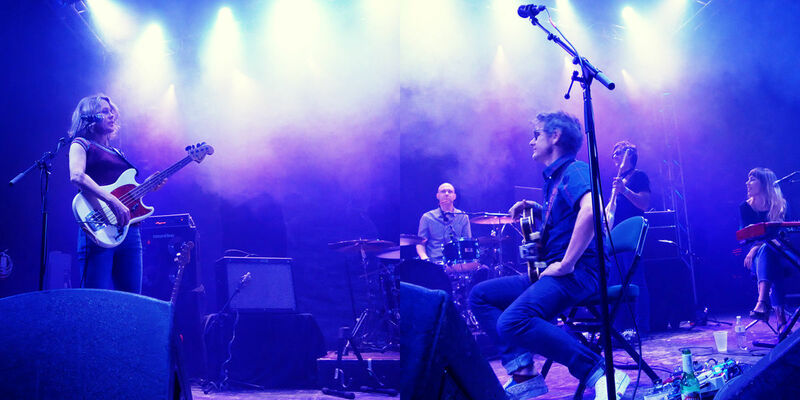 Sitting on a chair playing in-between them all is Dean Wareham. Trying to be in the background just like Sean not to attract as much attention but he would have to be behind curtains to not do that. 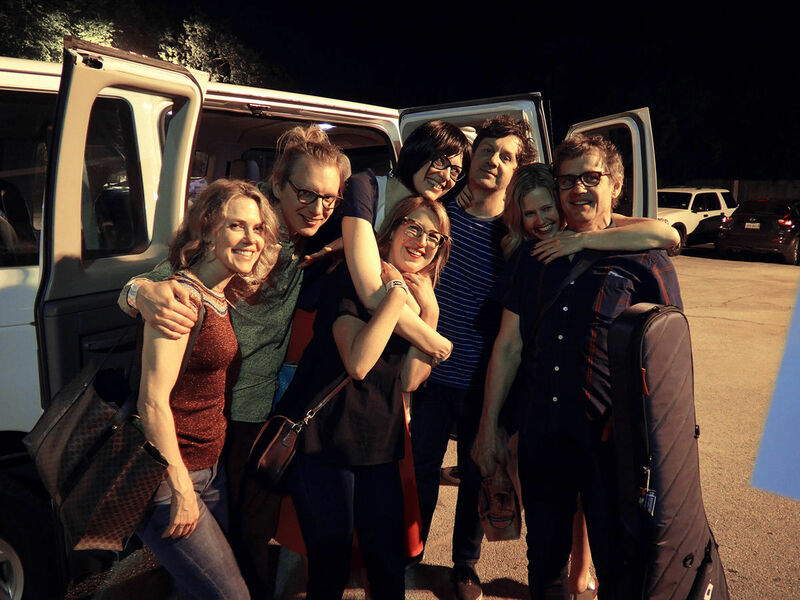 "This is my band", Britta says, smiling a bit. She is of course the main focus point. How couldn't she be. The sound is naturally less polished than on record, sounding more like Luna rehearsing in a living room, they are searching, but it is very good. The added keyboard makes the sound a bit atmospheric, and since Marte also is singing harmonies with Britta, it is even better. I would just love to hear more of these two together, to be more in the focus, more intense, they are a perfect match. Britta is often introducing the songs, saying when she wrote them, or who wrote them. For instance, once she said, "this one is written by Bob Dylan, so it's pretty good". It thought it was very funny. I'll Keep It With Mine, the only song that we've heard live before. 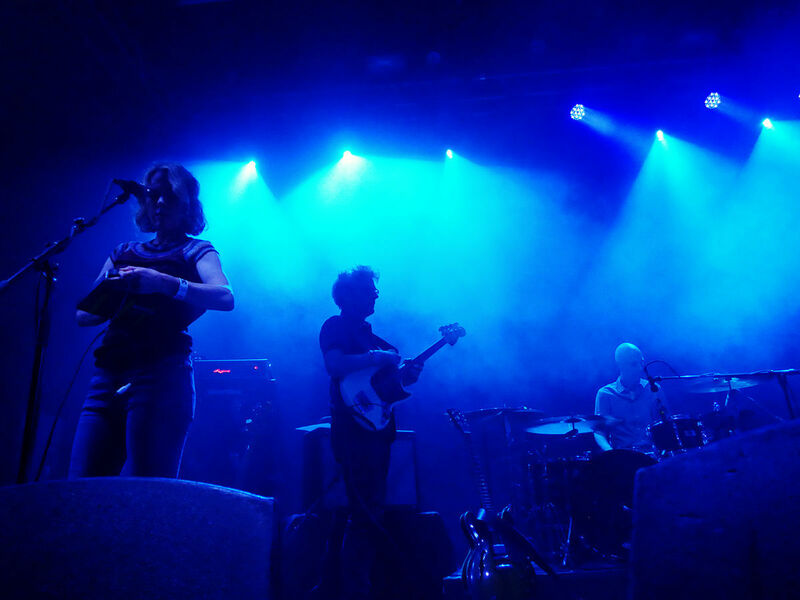 The set ends with Drive, Britta switches to hand held keyboards and Dean picks up the bass. No guitars at all, almost no drums. It's breathtakingly good, this is sounding nothing like Luna. Britta is on her own. "You can never give, the finger to the blind." It just feels so good to see them play again, having fun together, and Dean is like always paying attention to little details in the audience. "That's a big can of beer", he says to a guy next to me. He actually has two huge cans of beers in his hands. It may sound exaggerated, but It's partly these kind of details that makes Luna such a great live band. It is always fun going to a Luna concert. It might not look like they're having much fun when they are playing a song. And even if the sound is not perfect all the time, it is still always fun, with a very spontanious feel and a lot of laughter between songs. Watching Dean interacting, asking these questions to the audience, and to Sean of course, gives each concert its unique character. And Dean is laughing a lot, and the audience is too. They play the glorious This Time Around. "This time around, the pressure's on, you hope for happiness", and people at the Granada Theatre in Dallas are screaming, of happiness. We meet Patrick up there, who we met in New York last year, he seems to be honestly happy to see us again. We are happy to see him, he is good at observing Dean's lyrics, and says, "how good isn't that?". It's good to have someone pointing out lines you haven't really thought about before. And we met a local guy originally born in Taiwan, his name is Shu and he's wearing a Movement t-shirt, one of my favourite records by New Order. When they were still trying to find their sound. I like the sound of searching. Sean is talking about when Luna played at the Deep Ellum Live. We visited Deep Ellum prior to the show, I wanted to see Deep Ellum, because of its musical history. From the late 18th century, to the 1950's, it was the centre of entertainment in Dallas because of the train line. Jazz and blues musicians like Leadbelly, Robert Johnson and Bessie Smith played regularly at the clubs. However, the availability of cars led to the removal of the Houston and Texas railroad tracks. Deep Ellum declined, until the 1990s, when the area started to bloom again, there were 57 nightclubs and bars, with concert venues like the Deep Ellum Live. Luna opened up for The Screaming Trees according to Sean, and he is right, they did play at Deep Ellum Live, in 1998. There is always a story to tell. And it always leads to Lee starting 23 Minutes in Brussels. It never disappoints. Friendly Advice is the first encore, it's usually played much earlier in the show, I like it played anywhere in the show. "Do you know what this drink is called? ", Dean says and shows his plastic mug to the audience. "Lee Wall Surprise", he says he's a bit worried about what's in it. Apparently it has raspberries in it, or is it mulberries Dean asks. Who knows, maybe even lemon and lime? We end up going back stage, Sean invites us if I remember correctly, "there is beer back there", he says and we follow him. There are lots of people. "Sean said there is beer back here", I tell Dean when I meet him for the first time on this trip. I say something like that. I wish I was pretending he was Becky. "Yes", he says. No one say "yes" like Dean does, with a persistent s, like a snake, like Sir Hizz. "Yessss, there's plenty of beer back here", he replies smiling. He is not stressed, and when he is not stressed, he is usually smiling. He is sitting in the sofa with some girls, or is that just my imagination of him, I don't know. I start to talk to Marte from Oslo. Most girls from Norway are called either Mette or Marit, or a combination of it, and Marte kind of is. She has freckles and blue eyes, long hair with a fringe. She is friendly, and I can speak Swedish to her, and she can speak Norwegian to me. It feels a little bit like being home but still very far away. I think she feels the same. Marte moved to Los Angeles and met Britta and they teamed up, I am glad they did, I am glad I got to hear them play together. The guy with the Movement t-shirt followed us back-stage and watching his eyes back there is something I never will not forget. He gets his set list signed by the band. He is such a nice and friendly guy. Me and Ulrika start to talk to Kelly and Carly for the first time since we met them before the show. It feels like we've known them for years. We stay back stage until the venue security staff kicks us out. And we all end up at the parking lot behind the venue and starts taking pictures, funny pictures I have to say, I feel like lifting Britta, I grab her by her hips and lift her up, I can't really see it, but I think she is laughing. Then there's a picture with many more of us. Mike is being nice photographing us all. 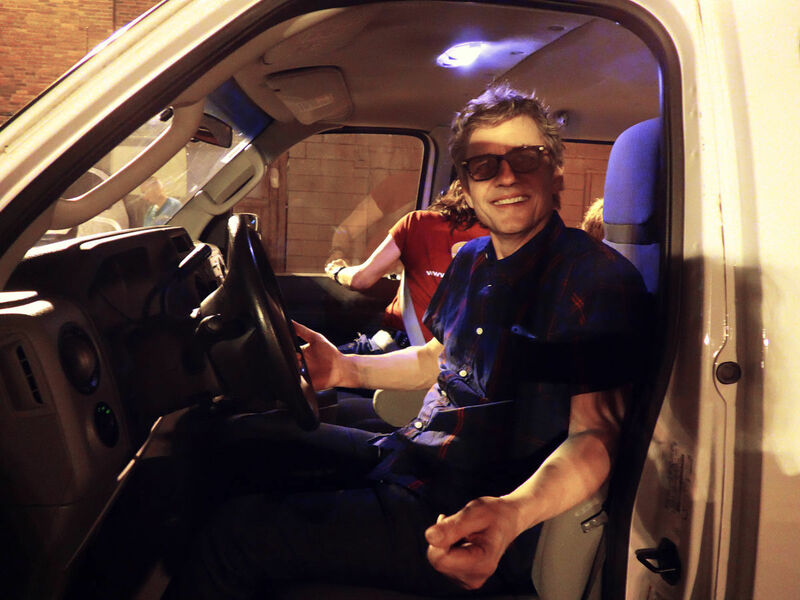 Dean is driving the tour van, and when they finally are about to leave, I take some pictures of him in the drivers seat, I'm like a policeman, he is laughing, and I am too. The white van disappears in the Dallas night. Me, Ulrika and Mike go to the place next door again, I hear live jazz and want to go in. Because there's live jazz in there, more music, I can't get enough of it. We went to Dallas today. Tomorrow, we are going to Austin. 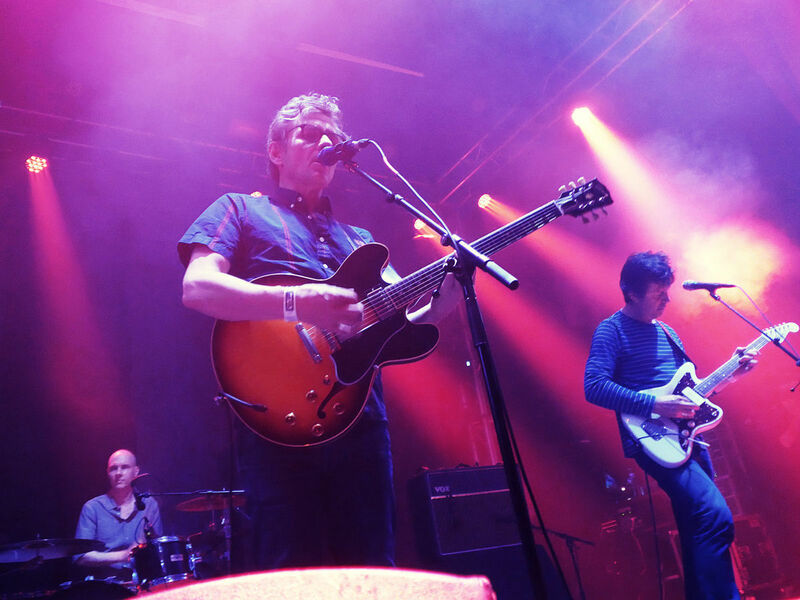 « Luna cover The Cure's "Fire in Cairo"